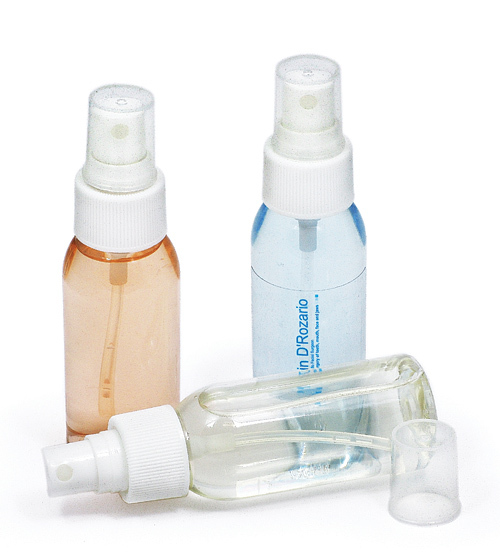 Custom branded facial sprays and face spritzers are a great promotional tool that will help your business connect with your clients. These printed face mist sprays use a non-aerosol pump which is safer for the environment. A printed bottle of our aromatic facial spray would make the perfect conference gift or gift with purchase. Lightly scented with floral water to create a refreshing face and body spray that will help to tone and hydrate the skin. Contains approx 50ml. Transparent, recyclable PET bottle with white atomiser cap. Colour/Flavour/Fragrancerelaxing lavender (purple), invigorating citrus (orange), refreshing peppermint (blue), aromatic rose (pink).